We understand that it can be stressful to even attempt to begin working on a Will or planning for your own future care or helping a close relative plan for their care. Wills and Lasting Powers of Attorney have strict rules to comply with and there are many laws affecting the inheritance of wealth and the administration of estates. If you do not make a Will at all, your estate will be inherited according to the arbitrary inheritance rules set by the Government and in default of a qualifying beneficiary it goes to the estates of Prince Charles. Sometimes it might seem easier to put off planning for when we are dead or elderly or infirm as there is a natural tendency not to want to think about these things. It is very important however to seek professional help from a Solicitor to ensure that estates are administered efficiently and in accordance with the law and that you create a valid Will or Lasting Power of Attorney, with less chance of expensive legal challenges or costs wasted in establishing the true meaning of a document. With many rules affecting these subjects and the law constantly changing it is very important that you employ a Solicitor with sufficient experience and expertise. 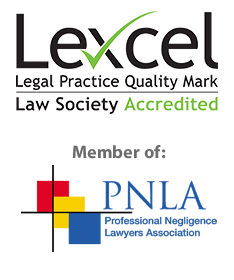 With extensive knowledge and over 30 years experience we can advise you how to proceed and help you complete your legal process or documentation in a friendly efficient way. We pride ourselves in providing a caring friendly service and we are completely confident that we can give you the peace of mind that you need and deserve. Our experienced team is here to assist and advise you on making or updating wills from simple wills to the more complicated, involving associated tax planning. We are also able to advise and help with Probate and the administration of Estates. We are experienced administrators of estates and can help and guide you through the Inheritance tax forms, claims to relief, probate application and the winding up of the estate. This will relieve you of the burden and worry of most of the paperwork and effort involved in winding up the estate and you can be sure that we can deal with any complexities and complete the administration in a friendly and efficient manner. We can also advise on how to plan for your own future care or for the care of an elderly loved one, including the completion of Powers of Attorney or if necessary applications to the Court of Protection.